Is it that if you start as a Lawyer then you have to be a Lawyer for life or Is there a ‘whole world’ waiting for you. As we all know, law is a vast field. So many developments have taken place over time. Thirty years back, the face of law was totally different. Legal education’s nature was totally different. People used to seek admission in a law school as a last resort and were considered to be studying the law only for “passing time”. From that point, the field and its institutions have evolved and have gained much importance now. It isn’t easy to take admission in law school now. There are entrance tests and even when you make it, there is a lot of studying you have to do. The question is, where does the “studying” stop. Law is developing as we speak and it is the job of all legal practitioners to keep up to date. So, there are two common work fields that law graduates for go- Litigation and Corporate law. Litigation involves active contesting of cases in the court while corporate law is more of an office business. When we talk about litigation, we need to know if this choice will help you grow in your field. Here is a list of jobs in a litigator’s world. For applying to the position of Assistant Public Prosecutor, candidates must have completed their Bachelor’s degree in law from a university recognized by the University Grants Commission. candidates must possess a minimum of five years experience of practicing as an advocate. Candidates must be between the age group of 21 and 35 years of age to apply for the position of Assistant Public Prosecutor. Candidates are selected for the position of Assistant Public Prosecutor based on their performance in the written examination, followed by interview. The appointment to the prosecutor’s office only requires qualification, competence and efficiency as its parameters as per law. The post has two different levels- District Prosecutor appointed for 3 to 5 years, and Low judiciary (like magistrate courts) where the appointment is more or less permanent. There are two classes of advocates, namely, senior advocates and other advocates. An advocate may, with his consent, be designated as senior advocate if the Supreme Court or a High Court is of opinion that by virtue of his ability, standing at the Bar or special knowledge of experience in law he is deserving of such distinction. Each state has one Advocate General. Not more than one Advocate General can be appointed. Appointed by the Governor of the respective state. He appoints a person who is qualified to be a judge of a High Court. Additional Advocate Generals are also appointed. The Attorney General is the first Law Officer of India. President appoints a person who is qualified to be appointed a Judge of the Supreme Court to be Attorney-General for India. It is the duty of the Attorney-General to give advice to the Government of India upon such legal matters, and to perform such other duties of a legal character, as may from time to time be referred or assigned to him by the President, and to discharge the functions conferred on him by or under this Constitution or any other law for the time being in force. The Attorney-General holds office during the pleasure of the President, and receives such remuneration as the President may determine. Solicitor General is appointed for 3 years. He assists the Attorney General and is assisted by several additional solicitors general. The most senior Judge of Supreme Court is recommended to the President by the Government of India. After the President of India approves the recommendation, the senior Judge is appointed as the Chief Justice of Supreme court of India. He should be served at least 5 years as High Court justice or by serving at least 10 years as a lawyer in any High Court. Should have been an advocate of a High Court or of two such Courts in succession for at least 10 years; or should have held judicial office in Indian Court for a period of at least 10 years. Assisting clients in litigation is rewarding. Each case tells a different story. 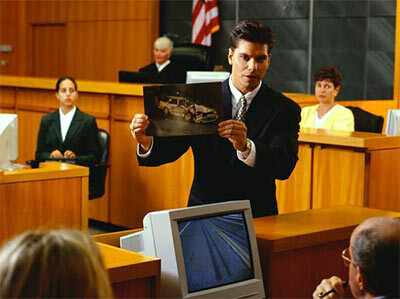 Litigation provides an opportunity to gain trial experience. Litigation is exhilarating and rewarding. Litigation offers transferrable career skills.